17-07-16 on Radio Spicefm.co.uk 98.8FM with Risaria Langley. How To Be Happy In 2015. A few tools to use in order to be happy in 2015…. 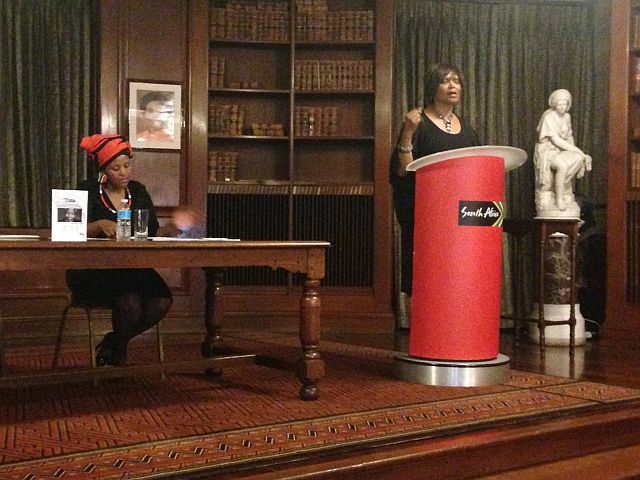 At South Africa House, London – An Evening of Poetry and Celebration with Nandi Jola and my Book Launch of Escaping Apartheid: A Letter to My Mother on Friday 31st October, 2014! It was a wonderful evening. Those who turned up were open to discussions and it was great. It was my first time at the South African High Commission in a capacity of presenting where I shared a book launch platform with Nandi Jola, who was launching a collection of Poetry in praise of Nelson Mandela, in her book “Tata…. Enkosi for opening the doors to Freedom and Democracy in South Africa”! Black History Month Talk on: Forgotten South Africans – Tuesday 21st October 2014! At Inspiration FM 107.8 – Northampton, Wednesday 15th October 2014! It turned out to be a very good evening with DJ Mkhukhwini – Ndumiso Dlamini’s “African Sounds” show on Wednesday, 15th October, 2014, between 6:00pm and 8:00pm. This was about the forth coming event at The South African High Commission, South Africa House, London where I have been invited to be a Guest Speaker by Nandi Jola who will be launching her Poetry Collection and this will coincide with my book launch of Escaping Apartheid: A Letter to My Mother. At the Art of Peace —- World Peace! It Was a Good Experience! – Tuesday 23rd September, 2014. Thank You Source.TV! On 23rd September 2014, at Source.TV, in London, I will have an opportunity to express my thoughts about the possibility of World Peace. At The Zimlink.org Launch, The White Lion, Streatham, London. I recited my poem, Never Succumb, in front of a live audience, for the first time…. I certainly enjoyed that experience! The Audience lifted me up with applauses as I continued to recite. And I received a Lovely Hug from a member of the Audience, as I left the stage! That felt GREAT!! AT The Brixton BookJam! On 2nd June 2014! 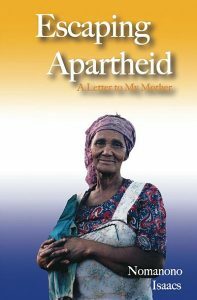 I Will Have An Opportunity to Read from my book – Escaping Apartheid: A Letter to My Mother. 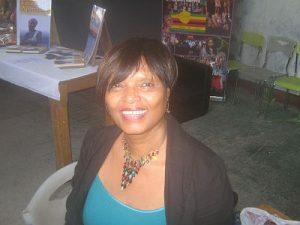 The Nana Churcher Show – Voice of Africa Radio 94FM (voiceofafricaradio.com) Guest on Thursday 30th January 2014 – from 7 – 8pm! NEVER SUCCUMB! – Nomanono’s Inspirational Poem. Published 11 January 2014. The Digging Deep TV Show Sky 591 Friday 6th December 2013 – Guest Appearance Recording. Talking about Escaping Apartheid – A Letter to My Mother and recitation of an Inspirational Poem….. Never Succumb! Show airing at 3.30pm on Saturday 14th December 2013. 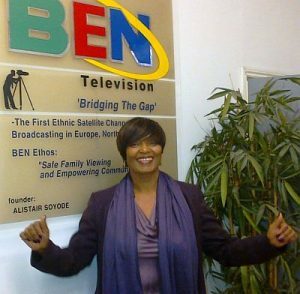 The Princess of Arize TV Show Sky 182, BEN TV Thursday 12th December 2013 – Guest Appearance Recording. Show airing at 10.00am on Saturday 14th December 2013. Nomanono will also show how the legacy of the Apartheid regime has led her to work to inspire and motivate others, who have suffered any injustice, to find strength and happiness within themselves.